Eye health exams, refractions, contact lens fitting and evaluations, glaucoma screaning, Lasik, eyeglass repairs & adjustments. Eyeglass prescriptions filled only by VA state licensed Opticians. We also offer prescription safety glasses, sports wear, and sunglasses. 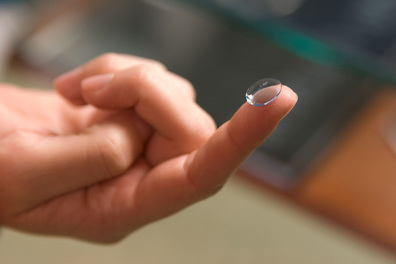 At Colonial Heights Vision Center we offer our patients lenses from the top companys. We use lenses from Zeiss, Hoya, Shamir, and Varilux. At Colonial Heights Vision Center we have frames from budget to designer. We offer frames from Dolabany, Calvin Klein, Safilo, Bobbi Brown, Smith Optics, Hugo Boss, Kate Spade, Michael Kors Clearvision, Izod, bebe Easy Clip, Vogue, Ray Ban, Cole Haan, Coach, Nike, Nautica, Carrera, BCBG Maxazria, Op, Lilly Pulitzer, and Tommy Hilfiger. We accept Cash, Debit Card, Master Card, Visa, Care Credit, and Discover. We participate with VSP, Anthem, Health Keepers, Davis Vision , AARP, Southern Health, Ameriplan, Eyemed, Cigna Philip Morris, Cigna. Check with our staff if you have other types of coverage.